On sale! 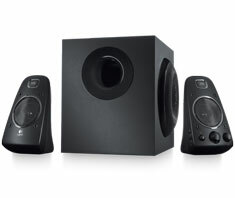 (normally $199) The powerful 2.1 channel Speaker System Z623 from Logitech delivers 200 watts RMS of power in a THX certified system for big, bold audio! Multiple inputs let you connect your music, movie and gaming devices for maximum compatibility and flexibility in using the Z623 with the widest range of digital lifestyle solutions. Speaker System Z623 incorporating both RCA and 3.5mm inputs, so you can connect everything from your DVD player or game console, to your iPod or Mac. 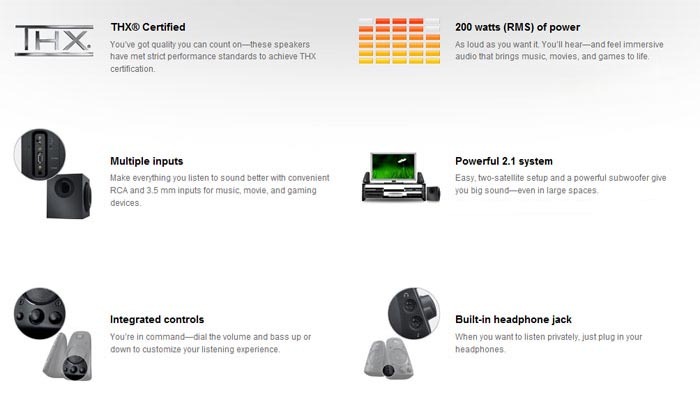 These speakers have met strict performance standards to achieve THX certification, so you'll hear and feel immersive audio that brings music, movies and games to life.